Another thrilling week saw Paul Volpe and Justin Bonomo finally earn their first WSOP bracelets – and earned tons of fantasy points for their FPM Managers – let’s take a look at Week 3, shall, we? Week 3 includes a total of 12 events, almost 75% of which are Hold’em event – time to get those NLH wizards on your teams … a few stud events on the calendar as well…. 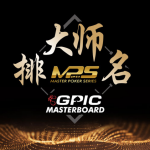 We brought up Davidi Kitai last Thursday on the PokerNews GPI Update podcast as a “must add” to your teams. Well, little did we know that Kitai would be winning the first event he would play in at the Series. Chances of him winning another event next week are small … but the fact has won the last two events he’s played in – both of them Six Handed events – means that he remains a top priority! Two stud events and a boatload of hold’em events? Let’s add Bertrand Grospellier this week. ElkY won the Stud Championship here at the WSOP three years ago. Plus, there is no doubting ElkY’s ability in hold’em events – this could be the perfect week for ElkY to get things back on track! Lineups for the WSOP Week 3 lock on Monday at Noon PT – get those picks in! Head on over to the GPI Fantasy Poker Manager app now and make your picks! FPM is the official Fantasy game of the World Series of Poker and the World Poker Tour!